The intelligence community does not want Donald Trump to succeed, yet there are overarching issues that require US-Russia cooperation, former Pentagon official Michael Maloof told RT. 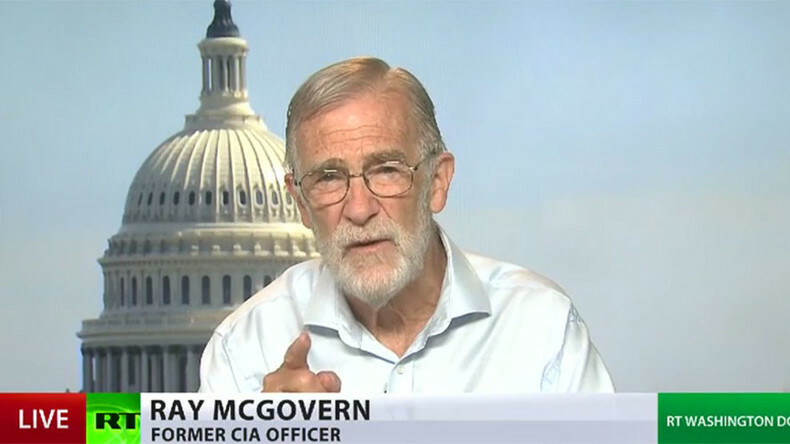 Ray McGovern, a former CIA officer, joins the conversation. After the G20 summit in Hamburg at the weekend, US President Donald Trump wrote an optimistic tweet, on a potential joint cyber security unit. Moreover, Trump said that after a significant deal on Syria it's time to move forward and work with Russia. ...We negotiated a ceasefire in parts of Syria which will save lives. Now it is time to move forward in working constructively with Russia! Despite his optimism, he may be facing opposition from within his administration. The US Ambassador to the United Nations, Nikki Haley, claims that “everybody” knows Russia meddled in last year's US presidential election. No evidence has been provided to prove the allegation. RT: How optimistic can Trump be, as there is utter resistance to restoring relations with Russia? Michael Maloof: President Trump rightfully wants to move ahead. He has an agenda; he wants to get something done. He wants to show accomplishment. What’s happening – all the opposition that is biting at him constantly is inside the Beltway, with efforts by Democrats, mainstream media, the Deep State, or the intelligence community, because they do not want this President to succeed. But there are overarching issues of a magnitude of importance that require US-Russia cooperation. I believe President Trump sees it in that light and he is going to be dealing with the charges of meddling, collusion – these are all side trips by people who do not want him to succeed. RT: Do you think Trump will be able to maintain a pragmatic approach to Syria, and keep working with Russia, or will there be opposition to that? MM: Yes I do. Trump very early on, even during the campaign, in one of his very few foreign policy statements, made it clear he wants to work with Russia; he wants to work with other players; he’s not for regime change; he’s not for building new governments. That is why you’re hearing backtracking on wanting to replace Assad, for example, by [Rex] Tillerson in recent days. That is not the intent. The intent is to move along, get a peace established, get a ceasefire and get a political resolution to that crisis. Having said that, at best it is going to be extremely difficult to reach any resolution in Syria in the near future, because of all the other complications that are coming in from all the other players, including Iran, Israel, Turkey, Jordan, as well as the US and Russia, and the Assad government itself on what it wants to do. The whole idea is: how do you make it happen given all of their complexities and their interests to come together and work? Assad wants to take back all of Syria. That may not happen in the long run. We don’t know where it’s all going to lead, but you’ve got to work at it. What is happening at home is a mere distraction. They are trying to trip up this President, who has got to focus and get something accomplished. And that is what the American people are looking for. I don’t want to sound like an advocate for President Trump and campaign for him, but that is the way he needs to proceed. RT: When will solid, incontrovertible evidence be provided to back up these hacking allegations? Will we be able to finally hear or see any evidence? Ray Mcgovern: When former President [Barack] Obama told Putin to “cut it out.” Putin said: “Cut what out? Can you give me some evidence?” According to Putin, as he explained to the [US] President what was going on, the President himself had increased doubts. The President [Obama] himself two days before he left office said this at a press conference: “It remains to be seen how the Russian hack got to WikiLeaks.” Well, hello! The reason it remains to be seen is because what got to WikiLeaks was not a hack; it was a leak. A leak is when you put a little thumb drive in a computer, you download it, and it doesn’t go over the network. Once it goes over the network NSA has it always; that is hard to believe, but it is true. What happened was someone within the Democratic National Committee [DNC] saw how Bernie Sanders had been cheated out of the nomination and decided: ‘You know, I really need to tell somebody about this’ – this is my speculation. And they put in a thumb drive, gave it to Julian Assange, and he released it – immediately. What happened? Well, nobody paid attention to what was in the e-mails – namely, that the DNC fixed the nomination so that Sanders wouldn’t win. Nobody paid attention to that. The whole thing was a magnificent distraction: ‘the Russians hacked, the Russians hacked, the Russians…’ There is still no evidence. There were about five investigations in search of a crime. That is really unique in my experience in Washington. RT: The story just runs and runs, doesn’t it? Will it ever end? If we can work with Russia on nuclear arms treaties; if we can work with Russia on peace treaties in Syria, we can certainly work with them on technological issues, and I think we can without having to give away our own secrets - Patrick Flanagan, attorney, former US congressman. The CIA used that capability last year, 2016. It doesn’t take a rocket scientist to put these dots together: ‘Oh, Cyrillic left in the DNC [computer? 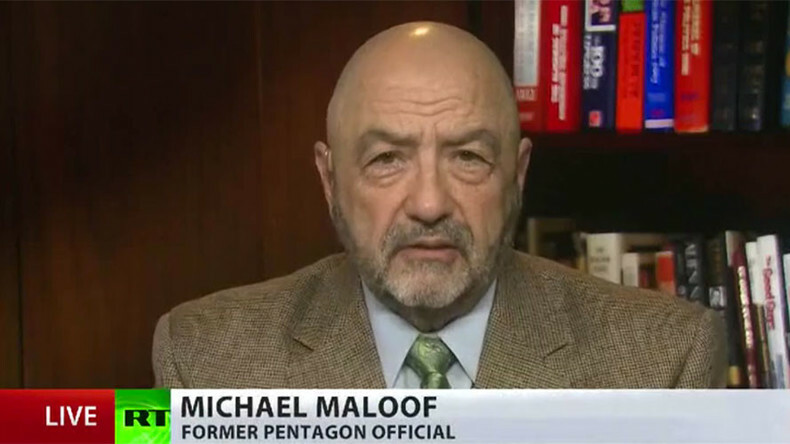 ]…’ Or maybe, I’ll just say right out that if I had to judge between whether it was a ‘Russian hack,’ or a CIA penetration or a CIA use of this incredible capability, I would go with CIA using this incredible capability right off the bat. The problem is – we have a president who has to look around at the CIA, and the military, and what we call the Deep State. He could ideally call his CIA Director and say: ‘Mike Pompeo, enough of this foolishness, I want to find out chapter and verse. I don’t believe that concocted memo of January 6. You find out what really happened.’ Now, would Pompeo, the head of the CIA, be able to find out? I don’t know. If he found out, will he tell the president? I don’t know. 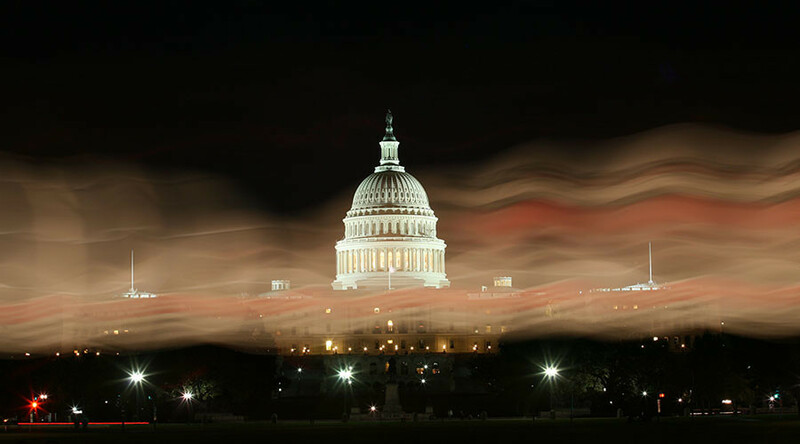 They are afraid of the Deep State – that is the big problem here.